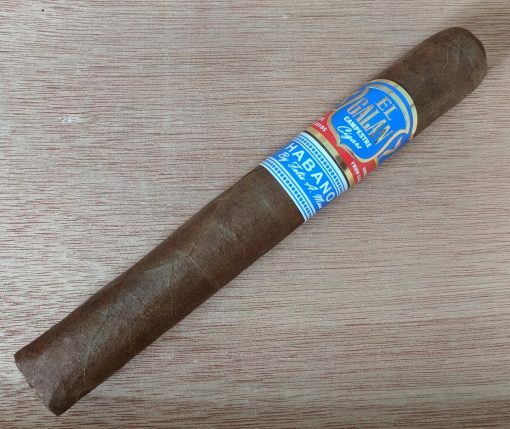 This bundle cigar is made by Felix Mesa of El Galan and features a Habano wrapper around Nicaraguan filler. The value-potential is obvious (20-count bundles can be found for $30) but like all bundle cigars the question is if it can over perform its price. Construction was better than I expected with a slightly spongy feel leading to a loose draw but otherwise it had an even burn that didn’t require any re-lights. Flavor isn’t particularly complex, but it is a medium-bodied and lacking of any bitterness, with earth, wood and mild coffee notes. No one will mistake this for a top, premium-priced offering but its as good as many cigars twice its price.